I think that buying discounted merchant gift cards online is one of the easiest and best ways to save money online. Here is my preferred method for finding the most appropriate gift cards for your purchase and how to maximize your savings. If anyone has any other method that is easier or saves more money please leave a comment. Let's taken an example, let's say you are planning on buying this chair at Staples which costs $99. 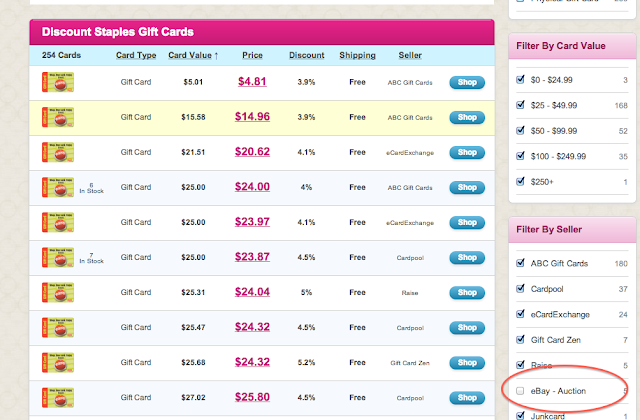 Now, go to giftcardgranny.com and type in Staples and then click on "Buy"
One of the main sellers of gift cards will be from Ebay. They will usually also have the highest discount. Go to the filters on the side and uncheck them. This is from an auction so you have no idea what they will end up selling for. The discount isn't real yet and will just confuse you. I usually will uncheck the filter for "physical gift cards". I usually want to buy it as soon as possible so I don't want to wait for the gift card to come in the mail. eGift cards usually arrive in your inbox the same day. You can do whatever you want. Look for a gift card that is as close to, but slightly less than, the final price of your item. 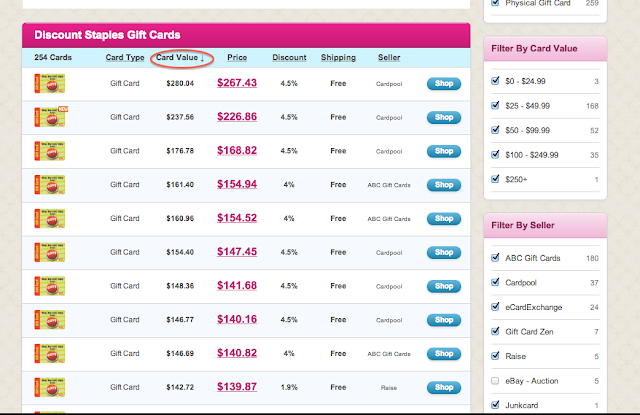 Do this by clicking on "Card Value" to filter based on card value. You have now saved 5.3% but you aren't done yet. 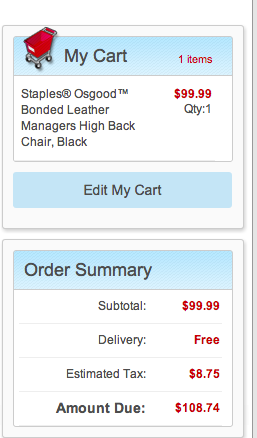 Go to cashbackholic.com and type in "staples" to find the best online shopping portal. In this case, it is Shop Discover if you pay with a Discover it® card will get you another 5% cashback. Since you bought a card that is slightly less than the item you will have to put a smal sum on your credit card. You will still get the 5% cashback on your entire purchase for a total of 10.3%. 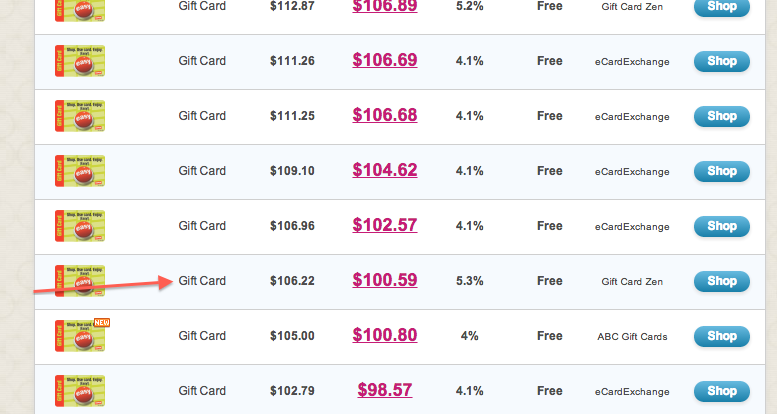 In addition, you will get your regular cashback for buying the gift card so add another 1-2% for that.